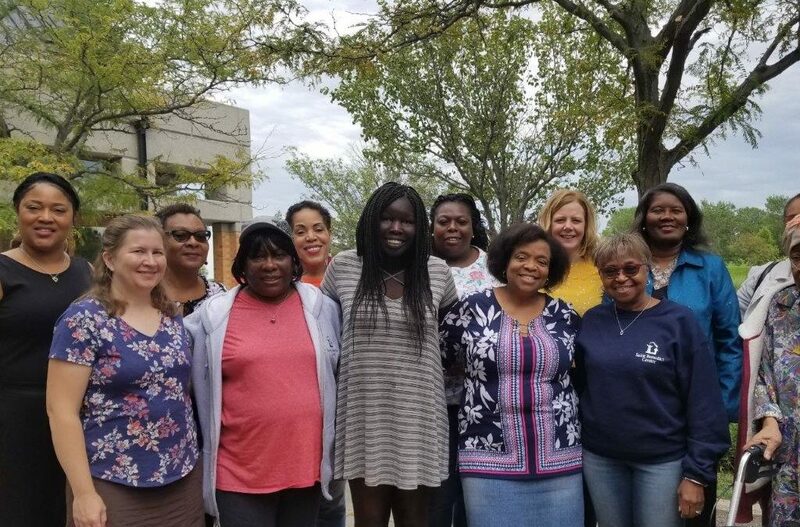 Here is a beautiful picture of a few of the ladies who met at the Saint Benedict Retreat Center, in Schuyler, Nebraska, August 31 – September 1, 2018, for the 6th Annual StandFast Women’s Conference and Retreat. The theme: Nothing But the Cross. What a powerful subject! We were revived and rejuvenated as we focused on various aspects of our great salvation. Mrs. Karen Watson is the founder and president of the StandFast Conference and all of the hard work and the energy required for her to organize this retreat was truly blessed. There were three speakers: Mrs. Darcy Cottone (No Longer Condemned); Ms. Velma Jean Sanders (What Do You Know about the Cross); and Mrs. Karen Watson (The Power of His Resurrection). In addition to the concentrated time of study, it was pure delight as 25 ladies came together (joined by the Spirit) in praise and worship to God, Our Father and to Jesus Christ our Lord and Savior. There was also time for wonderful fellowship through games, crafts and other activities. The StandFast Women’s Conference is a great event to attend! Why don’t you consider coming next year? You will not be disappointed! You will be richly blessed! For more information contact Mrs. Karen Watson at kwatsongroup.com.